Inventory for single-family homes are still at low levels, although demand is still high and edging upward. 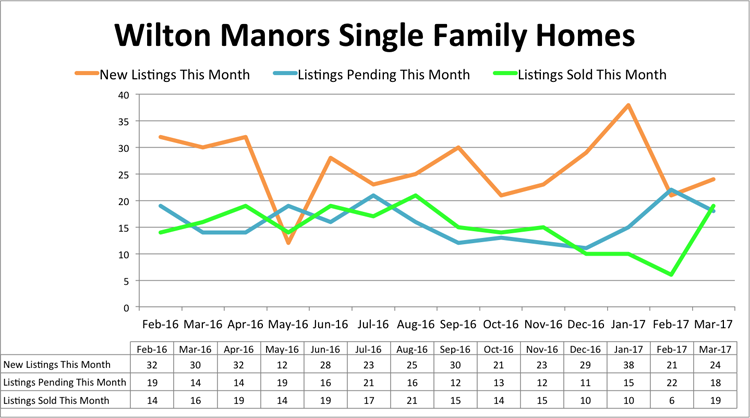 Pricing for single-family homes in Wilton Manors are increasing but at a slower rate than surrounding neighborhoods. 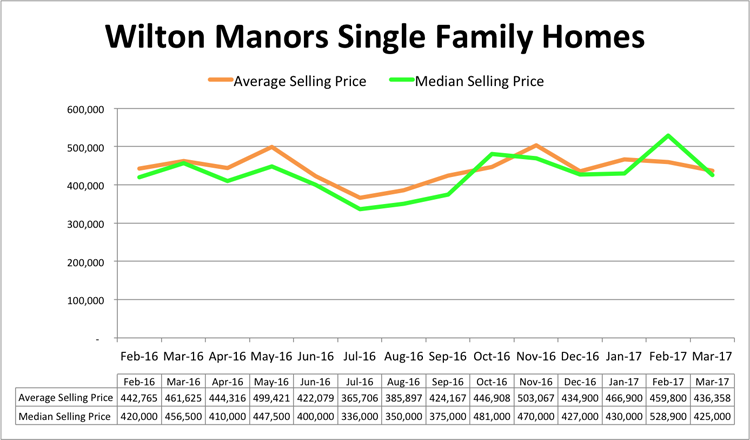 However, average and median prices are substantially higher in Wilton Manors than for similar sized homes nearby. 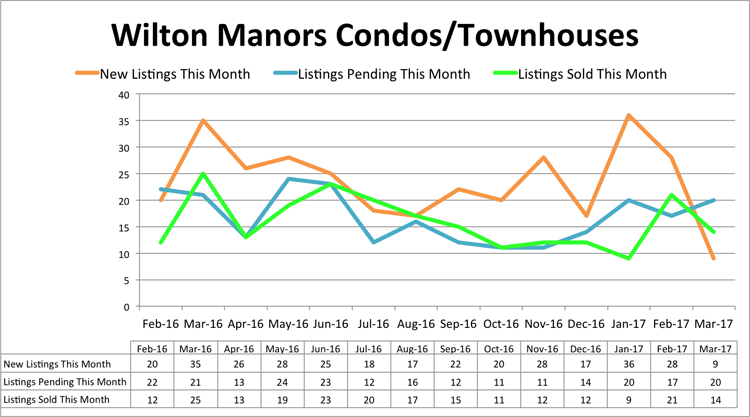 Inventory levels continue to drop for condos in Wilton Manors. Demand is constant. 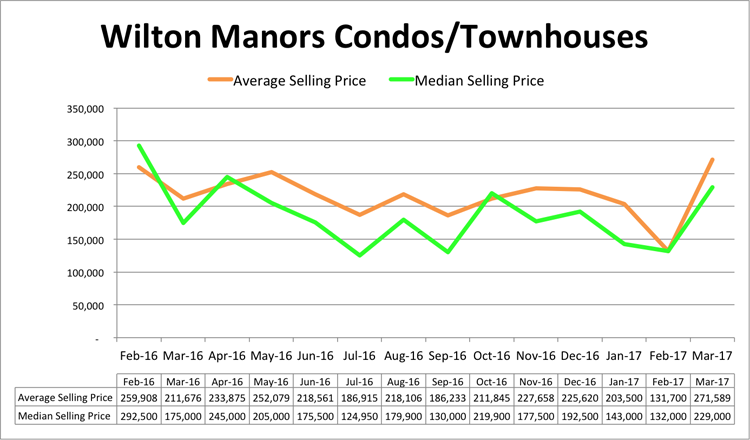 Pricing spikes in March 2017 are due to a higher than average number of higher price condos closing, but still reflect increasing prices for this market.